Publication information, pretty pictures, and mammal factoids! 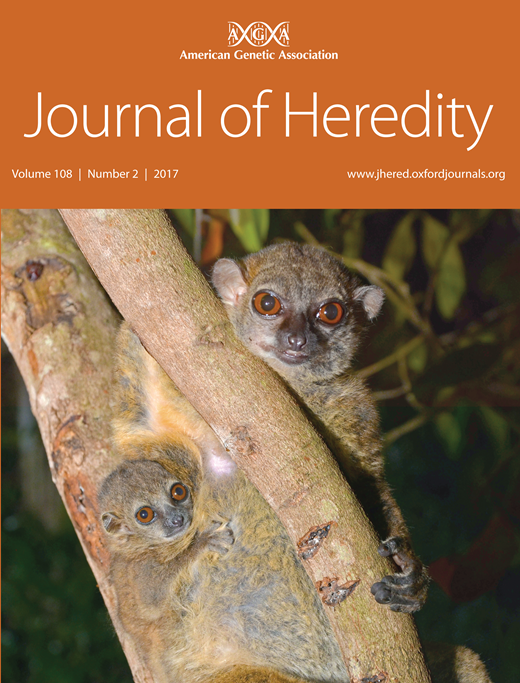 Greater bamboo lemur genome manuscript published! I'm proud to say that one of the biggest projects I worked on during my postdoc is now published in BMC Genomics. 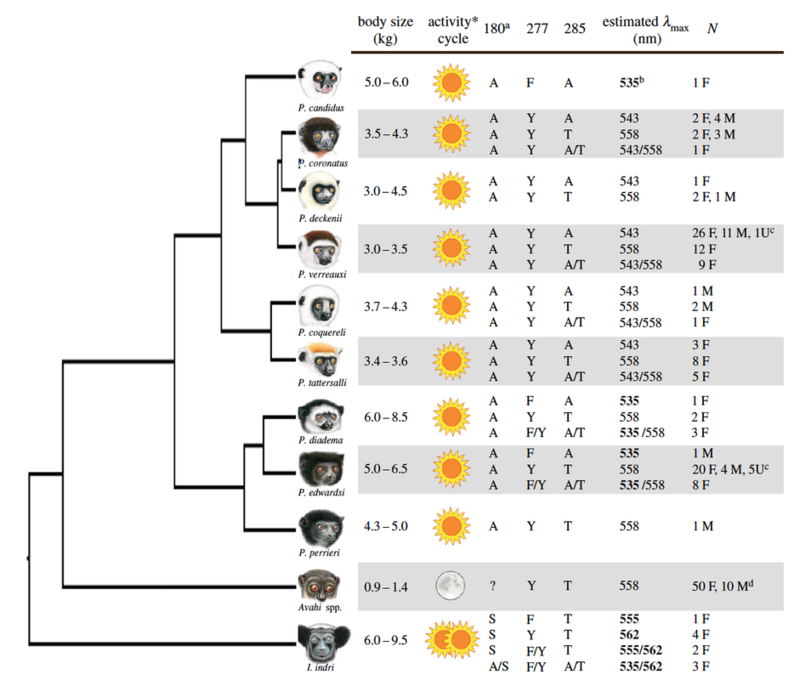 This paper describes the whole genome of the greater bamboo lemur, and looks at changes in the population through time. This species has only about 1,000 individuals remaining, and is in direct conflict with humans throughout its range. By understanding the genome of this species we can make informed decisions about the conservation management of this species. Thanks to everyone involved! The paper is open access and can be found here! The trend in effective population size through time across the five lemurs we sequenced in this paper. After a long time in the making our study of the summit rat has finally been published in Diversity and Distributions. 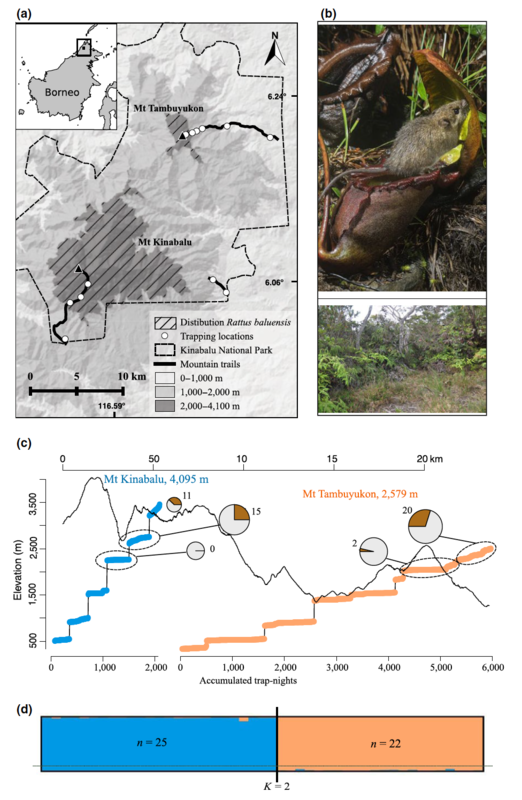 This study used many rats we trapped during our elevational transects in Sabah, Malaysia, and below is one figure from the paper which shows the genetic structure of rats on the two mountains. They have only recently split, but show almost no overlap in genetic signatures (shown below in the blue and orange). After a long time in the making Domenico (Nico) has published his first research article! 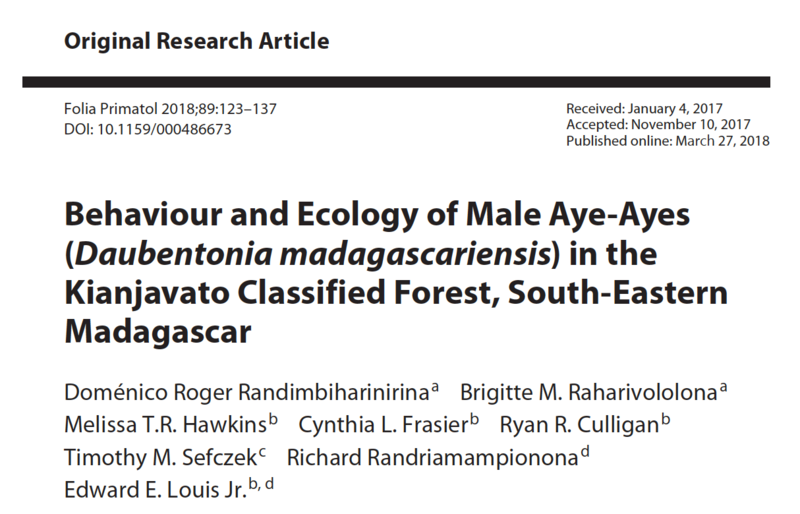 I am very happy to have been involved in this project and it represents some high resolution data on male aye-aye home ranges! Great work Nico and the MBP, this is some of the their great work building conservationists in Madagascar! Happy New Year! I'm super excited to start the year off with a new semester and new course (for me to teach anyways!). I will teach an upper division general education and biology course (Evolution) in the Spring 2018 semester. As if that isn't enough, I am returning from maternity leave and now have a wonderful little newborn! This semester I will be working on developing my research lab, and searching for a limited number of students to join the lab. I'm still working on a catchy name and logo, so stay tuned for that! Photo by Lee Fisher courtesy of Detroit Zoological Society. 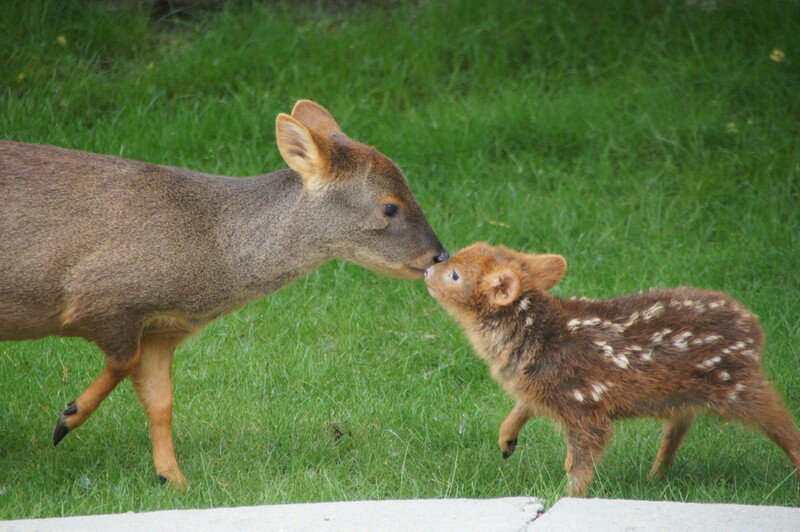 Included in the deer phylogeny is the genus Pudu, the smallest deer in the world. Check out this adorable picture from the Detroit Zoo! Big changes coming this fall! I am proud to announce that starting this fall my husband and I will be relocating to Northern California and I will be joining the faculty at Humboldt State University! I have accepted an assistant professor/mammal curator position with the Department of Biological Sciences. I am super excited to be part of such a great group of scientists, and begin a new adventure on the west coast! We will make an epic move this fall, spanning almost 3,000 miles from Northern Virginia to Northern California! ​Be sure to stay tuned for updates on my new position, and if interested I will be accepting a limited number of master's students and undergraduates! After a long time in the making Dr. Rachel Jacobs' manuscript on opsin gene variation in diurnal lemurs has been published! 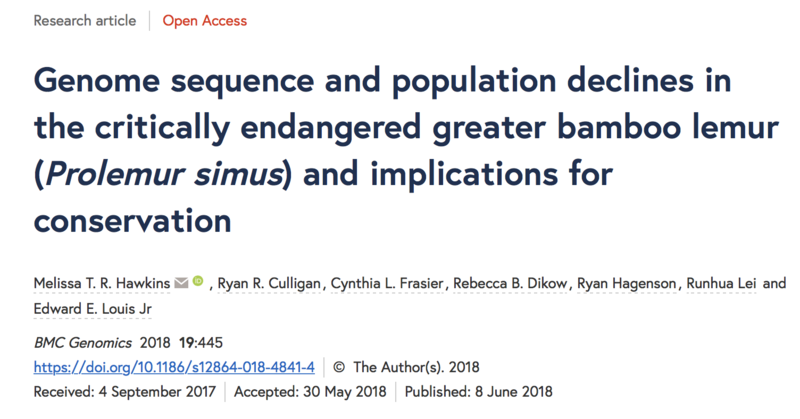 I was fortunate to participate in a minor role, and this is a really interesting paper which found multiple opsin gene alleles in sifakas and the indri, as opposed to the nocturnal (yet closely related) wooly lemurs. Glad to see this out, and proud to be part of such a neat paper! Click the link below to go to the Biology Letters website! Despite our paper being accepted at the end of September, we are proud to show off a beautiful cover! The photograph was taken by Dr. Ed Louis Jr., of a female Lepilemur sahamalazensis with her baby. This species is found in NW Madagascar, in a very small range. Little is known on the behavior of this species in the wild. The sportive lemurs (genus Lepilemur) are strange nocturnal animals which have limited dispersal ability and small home ranges. Those factors combine led us to use distributional records in combination with mitochondrial genomes to test for biogeographic patterns in these species. Thanks to everyone at the CCG that helped me through my dissertation research, you are the top of the field, and great people, I was so lucky to have convinced Jesús Maldonado to take me in as a student! 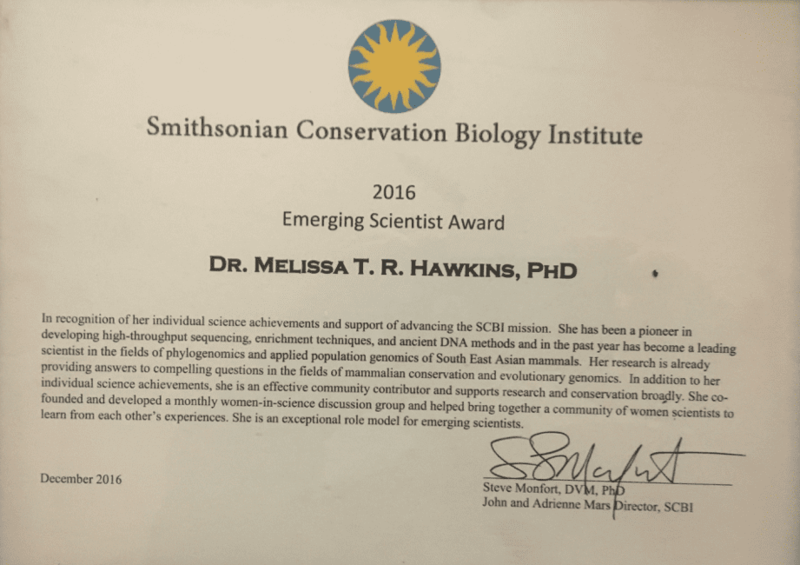 Missy is a geneticist, and field biologist who enjoys both observing mammals in their natural environment and combining that with DNA detective work.